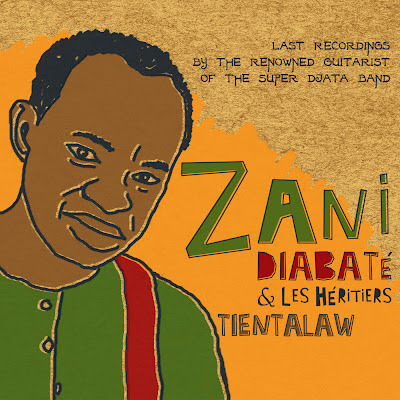 These are the last recordings by composer and guitarist Zani Diabate (pronounced Jah-bah-tay’). Zani Diabate, with his Super Djata Band, made his debut in the West in the early 1980s with an outstanding album reissued on the Mango label. That was a timeless album that we still play on The Motherland Influence today! Other songs by Super Djata Band have been included in many compilations of West African music on WRIR’s World Music shelves. 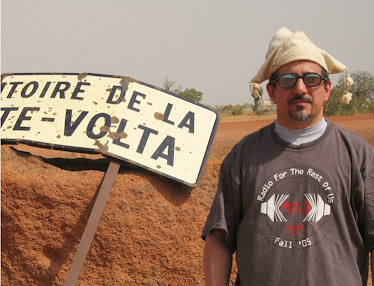 Although Zani’s modern music has always owed much to various traditional Malian styles, on Tientalaw with a new band, Les Heritiers (The Heirs), he reaches deeper into folklore in almost every composition and, in many compositions, allows the other instruments such as the balafon to take the limelight and, in traditional form, changes to a faster tempo at the end. There are a couple of tracks in which we hear more of what we might expect from Super Djata. A standout is 11 which not only includes some great guitar but the saxophone of Cameroonian Jimmy Mvondo-Mvele, now working a lot with Samba Mapangala and others. There are a number of outstanding songs on this album. Well worth a listen!